The new Windows-based Operations Dashboard for ArcGIS application leverages responsive maps and dynamic data to create operational views including charts, lists, gauges, and indicators that update automatically as underlying information changes. Esri has created two new applications to monitor daily operations and simplify field data collection. 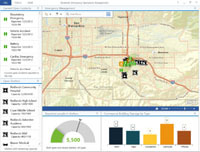 Operations Dashboard for ArcGIS provides a common operating picture and allows decision makers to monitor, track, and report on daily operations. Collector for ArcGIS allows users to capture and report spatial and/or tabular information directly from their iPhone or Android smartphone in the field. The Operations Dashboard for ArcGIS uses interactive maps and data in the form of charts, gauges, and other performance indicators that update automatically as underlying data changes. Dashboard views can be shared and used by others within an organization. 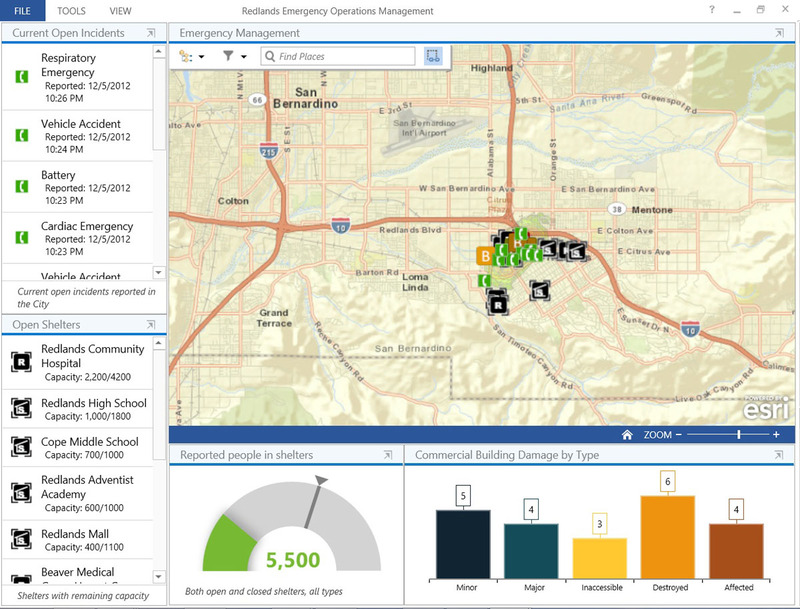 The Operations Dashboard application runs on Windows desktops and Intel-based Windows tablets and is available at ArcGIS Online. Subscribers to ArcGIS Online can install the Operations Dashboard via a ClickOnce deployment without the need for administrator rights. Powered by ArcGIS Runtime SDK for WPF, the Operations Dashboard can be extended with new widgets, map tools, and feature actions. The Collector for ArcGIS application simplifies data collection in the field. Data can be recorded using GPS or by tapping on the map. The Collector app provides the ability to plan routes, generate directions, capture photos and video, and seamlessly integrate information back into an organization's GIS. The app can also be configured for use with various tools to help tailor data collection workflows to users' specific needs. The Collector for ArcGIS is available for download from the Apple App Store and Google Play (formerly Android Market). The Operations Dashboard and Collector applications are available to organizations that have either a 30-day trial or have purchased an ArcGIS Online subscription..
To learn more, visit esri.com/smartphones.